Numerous commendations for "Friend of Small Business,"
Following the first election of Bill Clinton to the Presidency of the United States of America, John Hostettler decided to run for the House of Representatives. The contrast in political ideology between President Clinton and John Hostettler could not have been any greater and the incumbent that represented John Hostettler's home district maintained a voting record supportive of President Clinton's initiatives. Having never run for public office before, John Hostettler surprised observers by emerging from a field of six (6) GOP candidates who vied to face the twelve (12) year incumbent. With an impressive "grass-roots" campaign organization, John Hostettler defeated the incumbent in November 1994. He did this while refusing to accept any special interest political action committee (PAC) money. This refusal remained in place for every campaign that John Hostettler subsequently engaged. 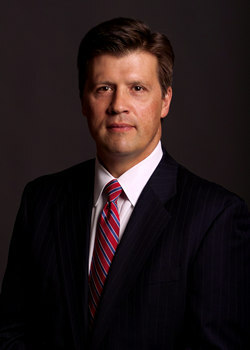 - In 2002, John Hostettler was one of only six (6) Republican Members of the United States House of Representatives and one of only three (3) "conservative" GOP Members to vote against the House resolution authorizing President George W. Bush to preemptively engage in military conflict with the nation of Iraq. 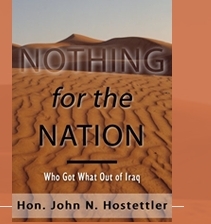 At the time in October 2002 before the vote was cast, John Hostettler said the intelligence supporting the claim of a program of weapons of mass destruction in Iraq was "tenuous at best"
- In 2003, as Chairman of the House Judiciary Committee Subcommittee on Immigration, Border Security and Claims, John Hostettler successfully amended the Department of State reauthorization bill to require the State Department to regulate the use of consular cards of foreign nations ("matricula consular" for Mexico) in the U.S.
John Hostettler was defeated in his campaign for a seventh term in the United States House of Representatives in November 2006.